(1) If you intend to perform a NATEL go optimization, we can offer a free pre-analysis to estimate the total savings. If these savings are not worth the effort/money, you can decide to not move forward and you get the peace of mind that your situation is under control. This article provides an overview(2) of the flat subscriptions offered by Swisscom and Sunrise, and shows how Tspendo solves the challenge of choosing the best subscription for each user, based on an example with a Swisscom NATEL go customer (3). (2) This article does not pretend to provide an exhaustive description of the products, please reffer to the official documentation of the suppliers for that. The views presented here are personal and totally independant, Tmanco has no ties with neither Swisscom nor Sunrise (no partnership, no kickback). Suppliers also offer tailor-made subscriptions for large customers, these are not covered here but we can assist you to evaluate them. 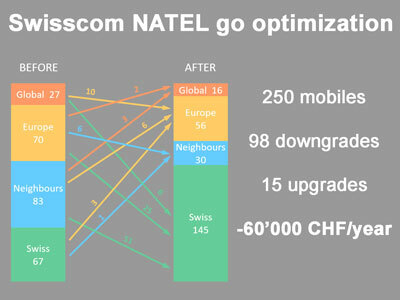 (3) The example illustrated here is based on the analysis of a customer with Swisscom NATEL go subscriptions. Most observations apply also for a customer with Sunrise Business subscriptions. 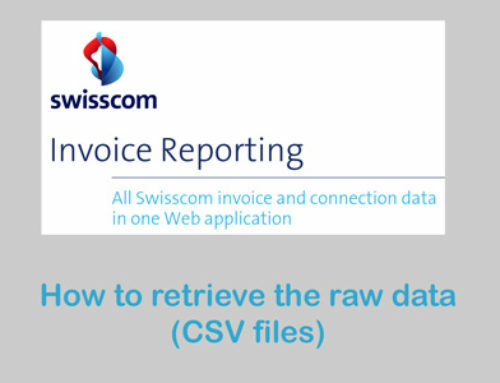 Our software Tspendo is currently ready for Swisscom NATEL go subscriptions, the Sunrise Business subscriptions will be covered at a later stage. Swisscom and Sunrise each offer a family of mobile subscriptions intended for enterprises (Swisscom NATEL go / Sunrise Business). Each subscription includes a volume of traffic per type (voice, data, sms) and per geography (national, international group, roaming region). The following diagram shows a synthetic view to illustrate the concept and the various options within each family. For a detailed description visit the pages Swisscom NATEL go or Sunrise Business. Please note that the costs indicated in this diagram are our estimations. Because these subscriptions are intended for large enterprises, the pricing usually depends on various parameters (number of subscriptions, type of subscriptions, contract duration, contract amount). For that reason, carriers usually don’t publish list prices for these subscriptions. 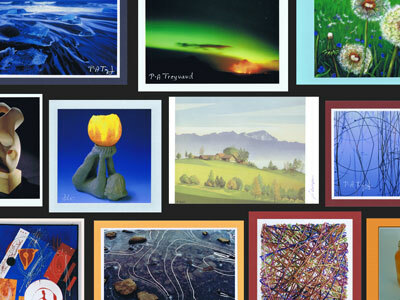 For Sunrise, these subscriptions are presented for Small Business but are normally also available for large enterprises. These subscriptions are often perceived as “Flat” because, as long as you stay within the limits (included volume/type/geography), then you only pay the monthly fix cost for subscription, which means “flat rate”. Obviously, more volume included means higher fix cost, but less volume included also means higher variable costs because the exceeding consumption is billed per unit. 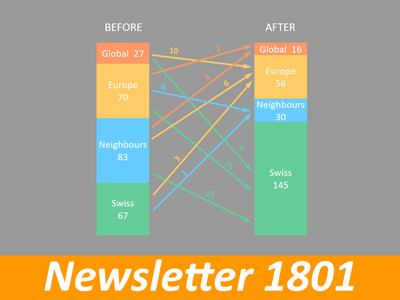 From the above diagram, we can see that, if you assign the subscription “NATEL go Global” to a person who uses little o no traffic outside of Switzerland, then you are paying almost 200.-/month too much, which means 2’400.- CHF/year. On the other side, if you assign the subscription “NATEL go Swiss Premium” to a person who often travels abroad, then the variable cost for roaming traffic will probably be much higher than the 250.-/month of the “NATEL go Global” subscription. Therefore, for each usage profile, there is an ideal subscription that generates the lowest monthly cost. If you are choosing a mobile subscription for yourself, then even though it’s not an easy task, there is a chance you know what you need (your usage profile) and you know how to choose your ideal subscription. And since you keep an eye on your monthly invoice, you can adjust your subscription if you notice the choice was not ideal. But how do you do that if you are working in a large enterprise and your role is to choose the ideal subscription for each of the hundreds/thousands of mobile users ? For each mobile, Tspendo takes the detailed traffic of the past months (in this case 6 months) , simulates what the cost would have been with each of the NATEL go subscription (Swiss, Neighbours, Europe, Global) and suggests the subscription with the lowest total cost over the full period. 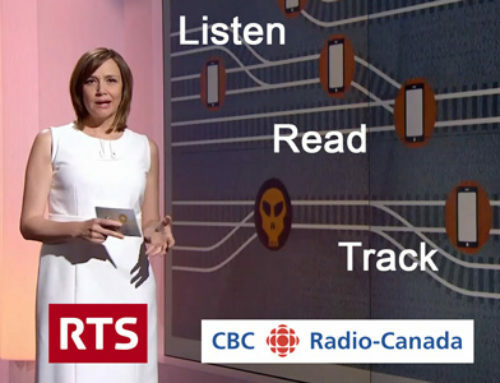 Tspendo then produces an extensive report in HTML format. That report presents numerous analysis to understand what/who generate the costs, and identify possible anomalies that should be corrected in order to reduce the costs. At the bottom of the report, you’ll find the section dedicated to the NATEL go optimization. The following table, produced by Tspendo, shows the recommended changes (Downgrade/Upgrade), the nb of mobiles involved and the resulting saving. Example mob_008 : has a Global subscription but generated only 32 CHF worth of traffic that was free as part of the Global subscription. Therefore it’s better to save 600 CHF by downgrading from Global to Europe, and then pay 32 CHF for the traffic which is not included anymore. 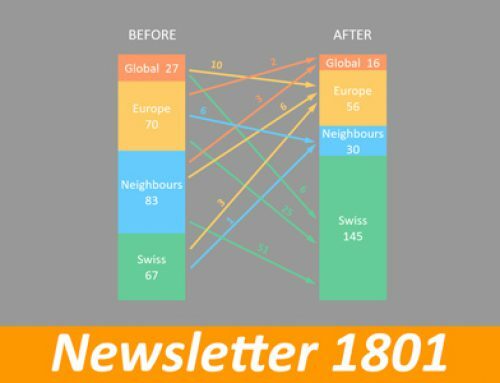 Example mob_045: has a Europe subscription but generated 979 CHF worth of traffic that would have been free if we had a Global subscription. Therefore it’s better to pay 600.- by upgrading from Europe to Global, and then save 979 CHF because that traffic is now included. 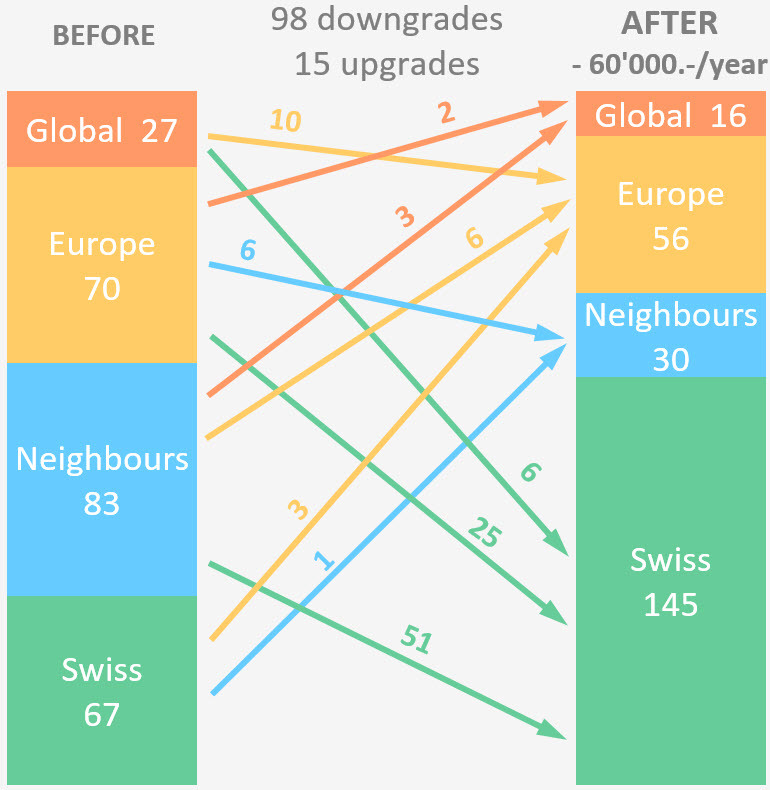 In this list, we see that if the first mobile had the subscription “Global” instead of “Neighbours”, we would have saved 2’791 CHF over the 6 months period. If we assume that the usage pattern will stay the same, then upgrading now to “Global” will save almost 5’000 CHF/year in the future.